BETHANY BEACH, DE--(Marketwired - December 21, 2015) - ResortQuest Real Estate® recently announced the November 2015 top producers for its southeast Sussex County, Del., locations. 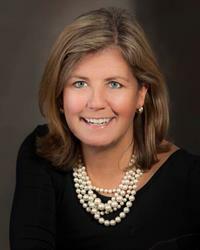 Shannon Smith of the West Fenwick office earned top listing honors for November. Top listing agents by office were: Ann Baker of the Edgewater/Sea Colony Oceanfront office; Bob Jennings of the Bethany Beach office; Christina Antonioli and Laurie McFaul of the Marketplace at Sea Colony office; and Marc Grimes of The Village at Bear Trap Dunes office. Anne Powell of the Bethany Beach office earned top sales honors for November. Top selling agents by office were: Smith of the West Fenwick office, Colleen Windrow of the Marketplace at Sea Colony office, Valerie Harmke of The Village at Bear Trap Dunes office and Jenny Smith of the Edgewater/Sea Colony Oceanfront office. "I'm extremely proud of our entire ResortQuest Sales team," said Brigit Taylor, ResortQuest Real Estate's managing broker. "They consistently strive for and deliver excellent customer service from first meeting through settlement and beyond." The firm can also be found on the Web at ResortQuestDE.com, on Facebook, or on Twitter. 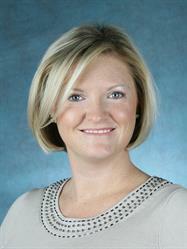 For information on starting a career in real estate, contact Brigit Taylor, broker of record, at 302-541-8780. ResortQuest Real Estate Sales Associate Shannon Smith earns November 2015 top listing agent honors. ResortQuest Real Estate Associate Broker Anne Powell earns November 2015 top selling agent honors.